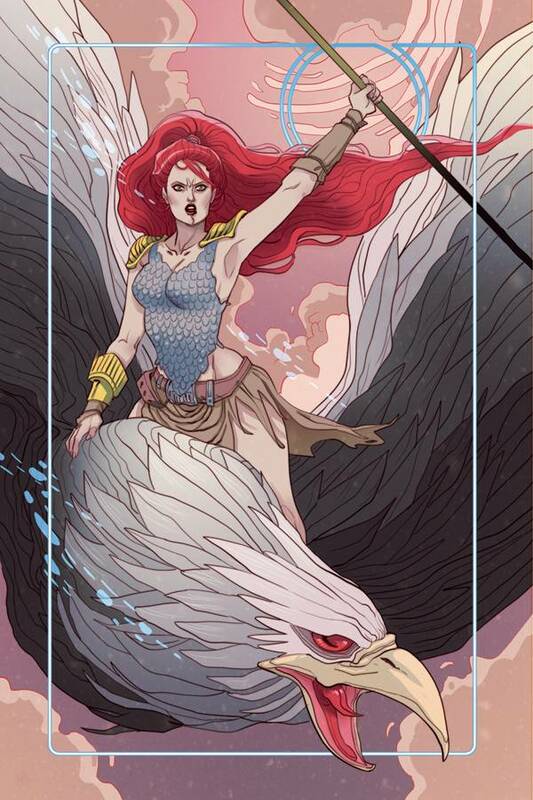 Marguerite Sauvage (DC Comics Bombshells) provides this intense cover artwork to the latest issue of the redesigned Red Sonja's adventures, available here as a super-rare 'Virgin Art' variant! In this issue, the Hyrkanian forces clashes, sister against brother, in bloody civil war for the Falcon Throne. Revelations, explosions, betrayals, and triumph await as the soul of Hyrkania - and Sonja herself - hang in the balance.